MCWC, Mora Country & Western Club was founded in 1982. The popularity for country Music was raising high in Sweden. Although the interest for Country Music in our area has always been very high. Same year local organizations and clubs where given the opportunity to start broadcasting on public radio here in Sweden. Our organization was given permission to start and we took off with a boom. Our broadcastings on air have been a weekly event since then and beside radioshows we also have Country related activities. Country-dances, Country artist, ”live” appearances etc. The Club sections have more than 310 members and is still growing. Radio-section has around 10 people serving the audience. 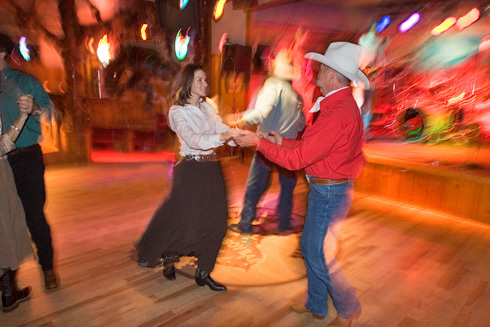 We also co-operate with other clubs and organizations related to Country Music. Welcome to enjoy MCWC Radio in the air or on the internet!